After many years in Masham Hester moved over the hills to Horton in Ribblesdale with the amazing influence of Penyghent in her back yard, and much of her new work reflects this new landscape. 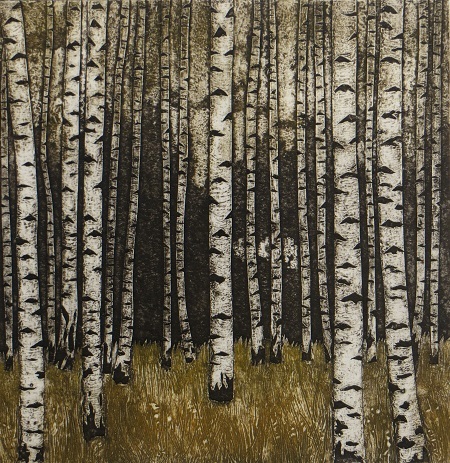 Her work is a mixture of collagraphs, relief and solarplate prints. She designs each one on paper before making the printing plates which she then hand inks and prints in her studio using an etching press. She is inspired by the natural landscape, the plants and wildlife that inhabit it and the stories, myths and symbolism associated with them. 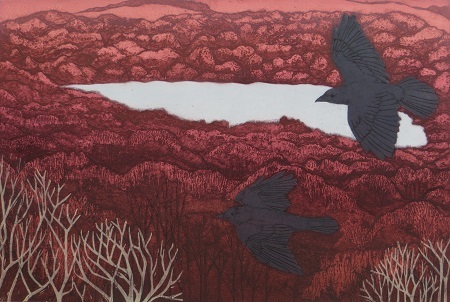 Hester uses multiple plates and techniques to create layers of texture and this echoes the layers of meaning and metaphor in the images. Poetry and the written word are often starting points for an idea. 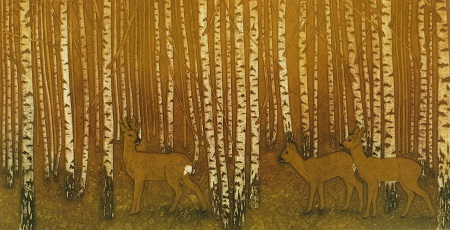 The Gallery always has a good selection of Hester's framed and unframed work. Please contact us if you would like any of these images, they may be in The Gallery, otherwise they are available to order with an approximate order time of 4 weeks.